CNC vacuum holding fixtures and 5-Axis CNC part trimming: Keeping your parts in the right place. Get the accuracy and consistency of machine-trimmed parts, and up to 50' long. Trimming parts just got a whole lot easier. And faster. And more precise. Say goodbye to hand-trimming parts. 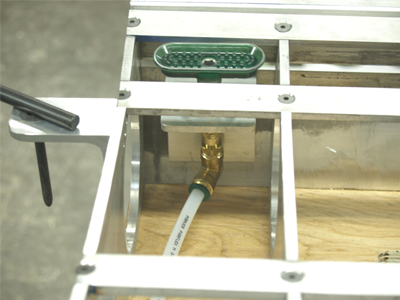 Leading Edge Aerospace uses vacuum holding fixtures for CNC machining to ensure exact specifications are met and human error is left behind. 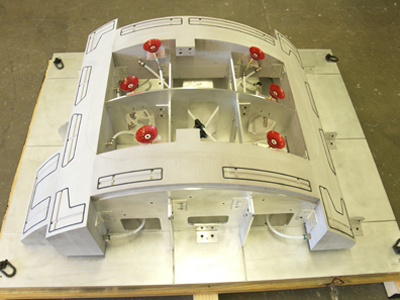 To discuss how our vacuum holding fixtures deliver better parts, just call Ben Johnson at 316-942-1301, or email him. He’ll be more than happy to help (and he loves talking shop! ).